In the spirit of Thanksgiving, we just wanted to take a moment to reflect on the things we’re thankful for this year. While the economy may be tough, there is still plenty to smile at- especially when you are in the business of helping people celebrate accomplishments! First and foremost, we wouldn’t have a reason to come in to work in the morning if it wasn’t for our customers. 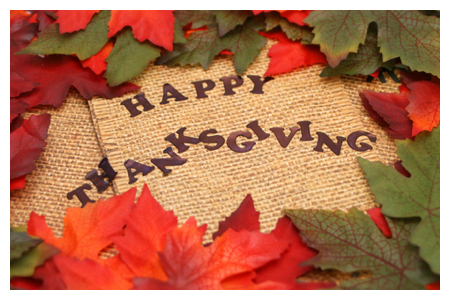 We’re thankful for all of you, whether you placed your first order or your 40th. We’re thankful for the increased communication with our customers. We love the photos on Facebook, the suggestions you send in on postcards and in email, and the stories you share of how our products helped create a special moment. We’re thankful for our loyal employees- there are more than a few people that have supported our company for twenty, even thirty years. We’re thankful for pets, family, and the spirit of the season. That about covers it- but let us know if we left something out!